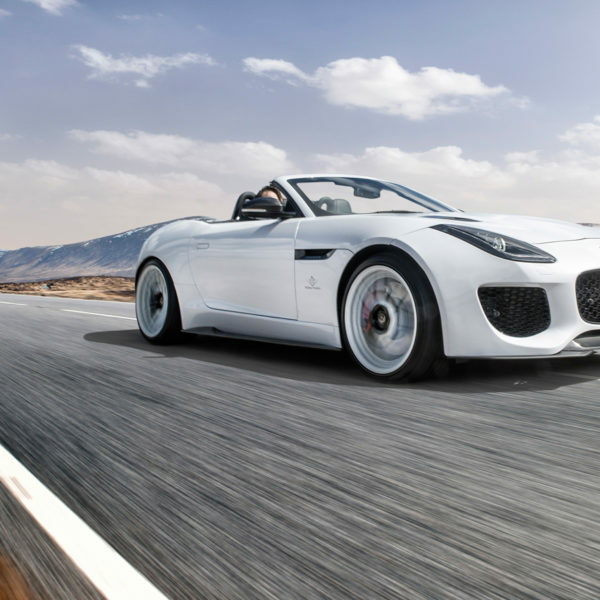 Tuning F-Type Jaguar 650bhp Predator . 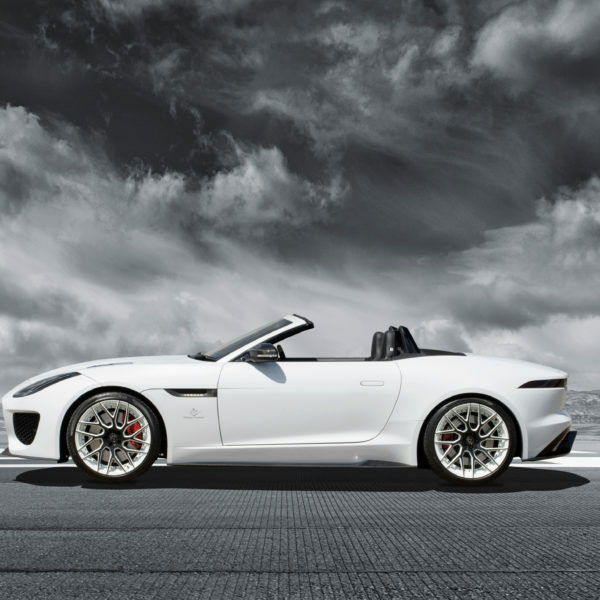 Since almost the first day the Jaguar F-Type was launched, it’s been tuned! 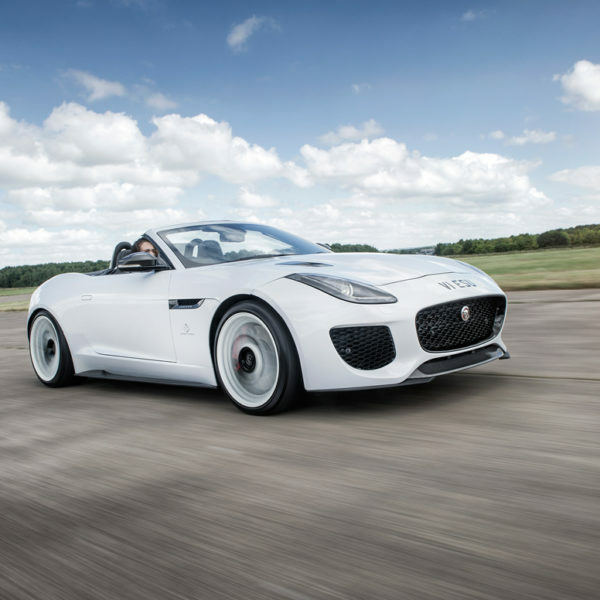 – The nice fast lines and super V8 Jaguar engine were always going to lend themselves to power upgrades and appeal to passionate drivers who are not ever going to settle at standard. 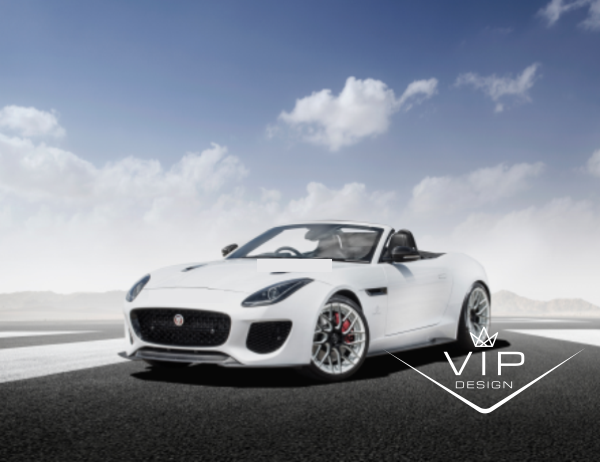 The rumours of a true Jaguar F-Type supercar killer have been circulating, but no longer a concept or idea, the VIP Jaguar F-Type Project Predator is now available. 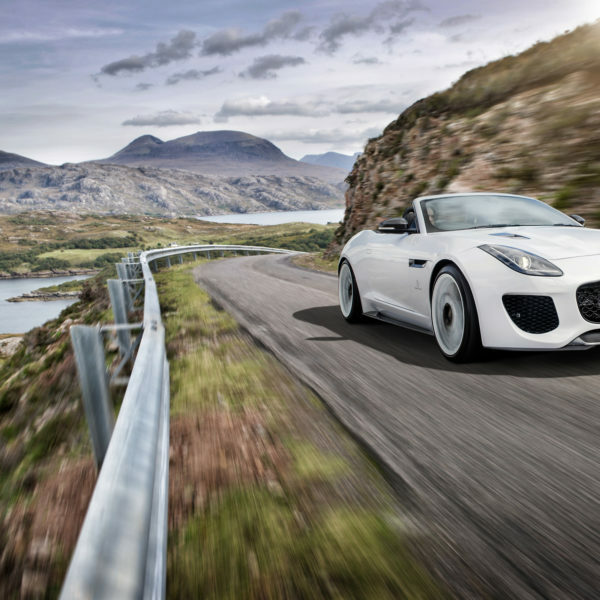 Delivering a blisteringly quick 650bhp of pure driving passion. Dyno-tested and proven the only 650bhp upgrade package is now here. 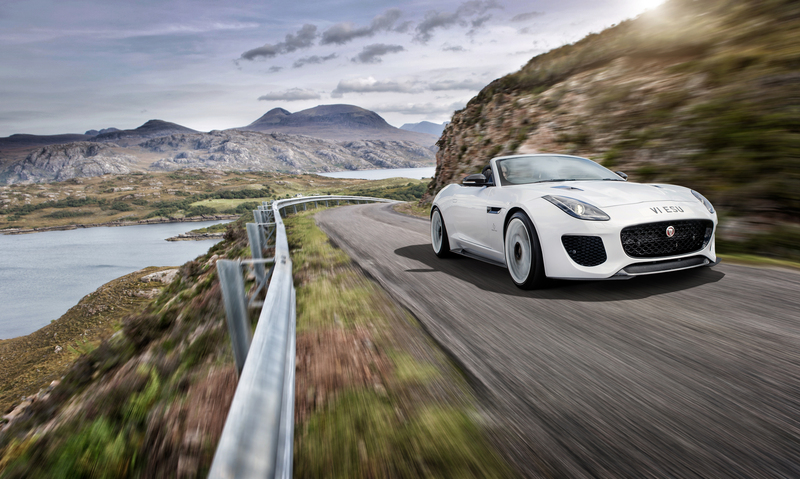 Supercharger upgrades, 200-cell catalysts, full performance exhaust, air filters and software. The word ‘stunning’ is over used, but not in this case. 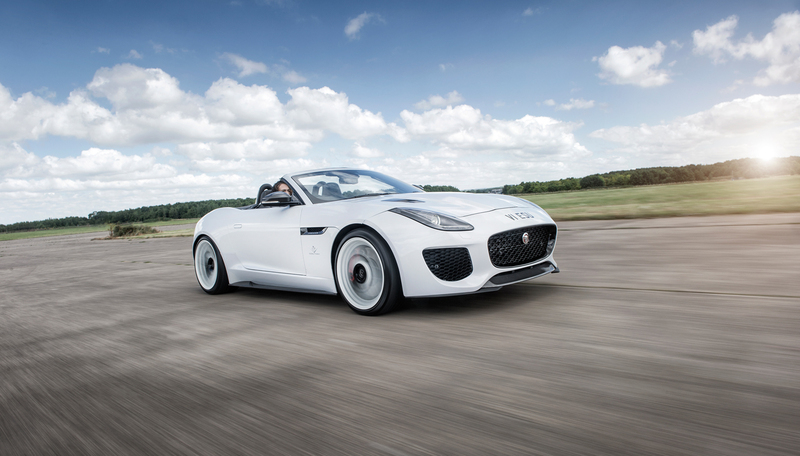 This is the fastest Jaguar you will ever drive, and it really leaves an impression. 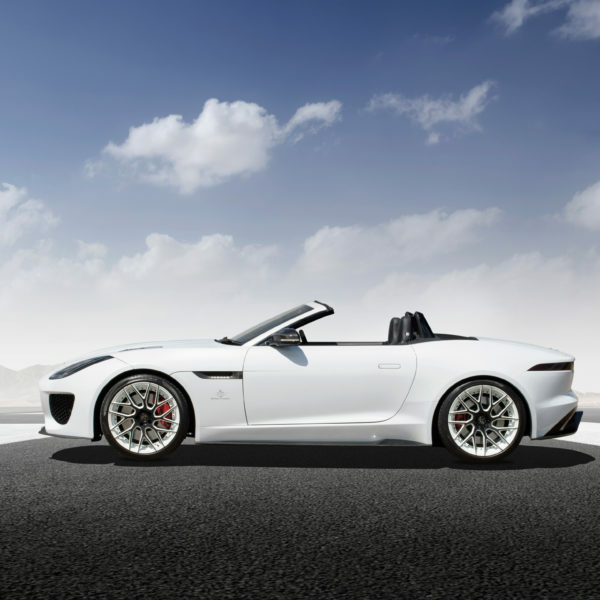 To assist with road holding, and in an attempt to control this beast, we have lowered the suspension 30mm – this improves the poise and stance and adds to the feline quality. Harder stronger suspension parts, joints and rubbers are fitted to boost handing at speed when cornering. 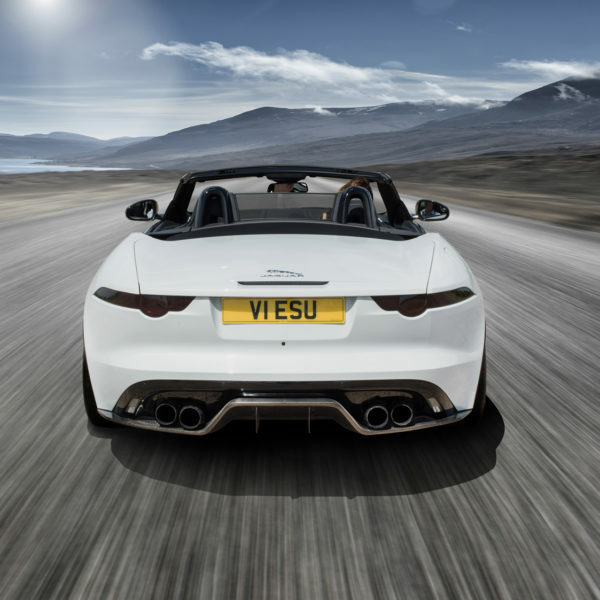 The stock Jaguar F-Type sounds good (before it was quietened down by the guys with the clipboards) but it never quite sounded like a V8 Supercar. The exhaust is not deep enough – more of a shriek than a V8 rumble and thunder. 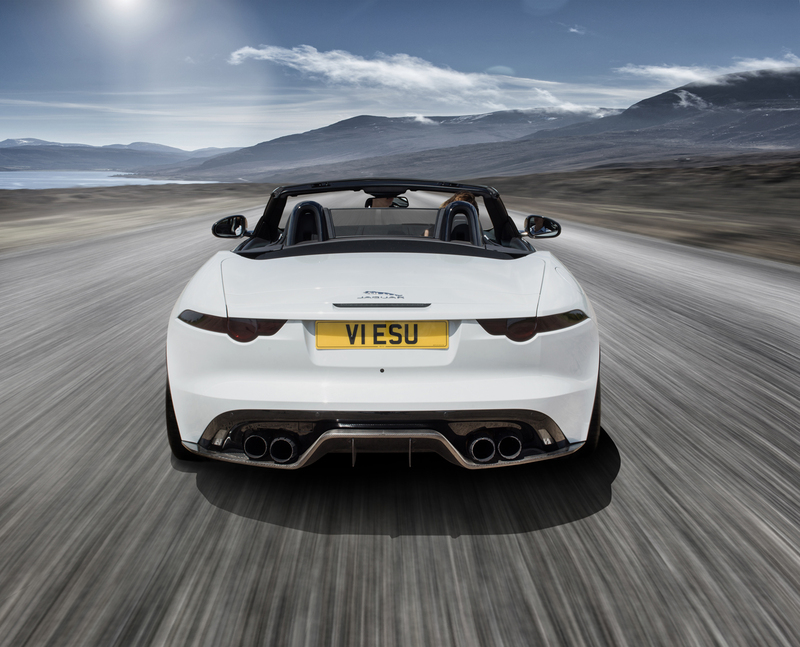 The VIP Design F-Type Predator changes all that – the full manifold back high performance exhaust system is switchable, allowing two different ‘purr’ levels – ‘loud’ and near straight through ‘really loud’! 200-cell catalytic converters which improve waste exhaust gas flow cycling through spent gases meaning improved efficiency and performance is gained. You can’t help but grin your head off every time you press the button. This packages uses the original factory wheels – not sure that is what you want, just ask. 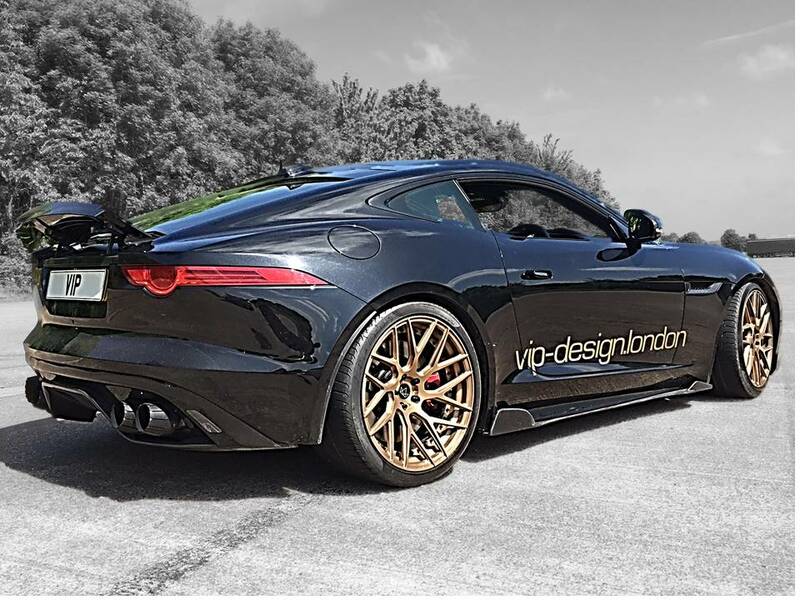 Stunning, unique polished carbon-fibre rear diffuser, and/or side skirts and wing mirrors – stand out from the crowd. 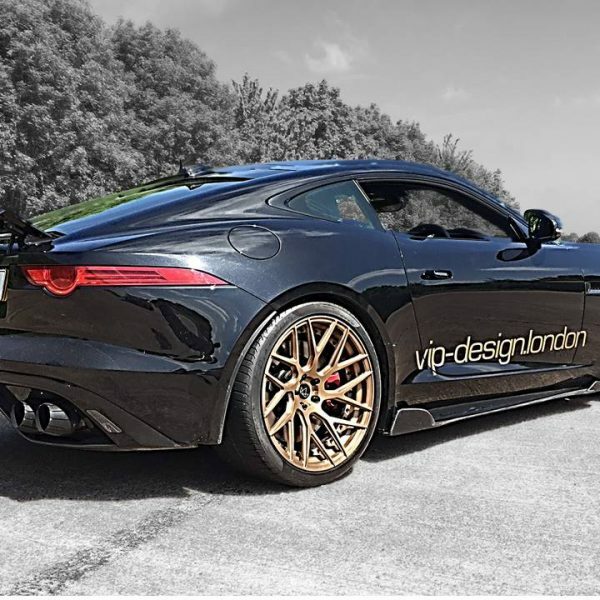 Tuning F-Type Jaguar 650bhp Predator package fitted and installed at the VIP Design workshop in Warwickshire (mail-order and international shipping also available).